Multi strands of glass and cornelian beads along side Beijing wood. 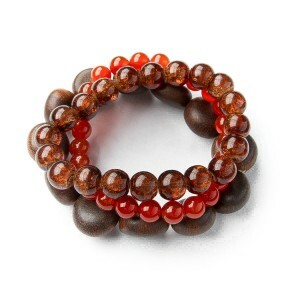 This sweet bracelet is a 3 strand set. 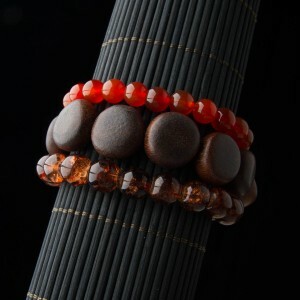 Fabulous Beijing wood, carnelian and glass beads. What a stylish piece that goes with seriously everything! Including our matching necklace from our safe house in Beijing. These will be flying off our table! Like all of the jewelry we receive from our safe house’s, once the piece’s are gone, they are G.O.N.E.